Last week in this series, I talked about Why Journaling is Important? This week let’s talk about what journaling is and is not. Let’s also get rid of some preconceived ideas and stereotypes about journaling and understand how powerful a tool it can be for every person of any age. This sounds easy enough, and usually it is, but I think journaling can have a bad stigma because it might seem to only be for “girls” or something that can be considered boring because no one thinks their life is interesting enough to talk about. I say not at all to both these things. Journaling is for EVERYONE of all ages. It can be very fun too. It all depends on how it’s approached. What kind of journal you keep matters too. What might work for one person, may not be as effective for another. Let’s talk about different types of journaling. I think people journal all the time, but may not realize that what they are doing is considered journaling. Blogs, vlogging, writing daily emails or letters depicting information about yourself and life are considered journaling. There is also daily life and experiences journaling. This is what most people consider “regular journaling” that is a pouring out about daily events. There is also what’s called morning pages or stream of conscious journaling where you write for a few pages straight nonstop, writing about whatever comes to mind. These last two types of journaling is what I do the most, but I do others as well. Some other types of journaling include, bullet journaling, scrapbook journaling, prayer journaling, dream journaling, and travel journaling. You can also keep a reading journal with all the books you read and quotes or things you learned from those books. Some people also keep a gratitude journal. This is a really great way to keep a more positive attitude in life! I even consider keeping a sketch-book or art book of any kind a form of journaling as well. Really, anything that is an expression of yourself is a type of journaling. Still need some ideas for journaling? Just do a search on pinterest or google images and be astounded by all the creativity out there! There are so many ways to journal. All you have to do is look around or just tap into the very center of you. You’d be surprised at what you can come up with! I counted. I keep about 7 journals. I use regular notebooks to do heavier writing for scenes or writing out ideas for creating characters, plots, ect. I have a journal I carry in a my purse for on the go writing. I keep track of every part of my life using Evernote (including homeschooling, writing notes and ideas, everyday stuff, ect.). I write many emails to friends, and one friend in particular depicting regular parts of my life to share and sometimes just to vent. I have a sketchbook I draw in whenever the mood hits me. I also keep a very special journal where all my best thoughts, ideas, memories, or quotes that I run across and want to keep (my butterfly journal). And I also have a pinterest account, which can also be considered a form of journaling. How many different ways do you journal? Did you know you were journaling, or has it more of an unconscious thing? And if you were inspired today to pick up a new type of journaling, what would it be? Next is the last part of this series. 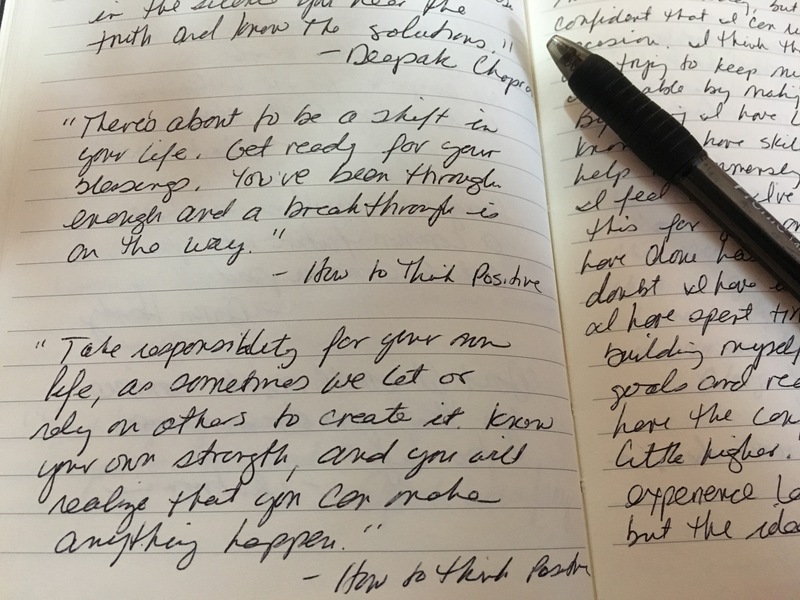 Journaling Series Part 3: How to Stick With Journaling? where I’ll discuss ways to stay inspired to journal and ways to keep your journaling private (if you so desire). Previous Post Journaling Series Part 1: Why is Journaling Important? Next Post Journaling Series Part 3: How to Stick With Journaling?